This pitting of "real" against "lame" ones is spiritually bankrupt dreck from the pit of hell. The guy on the right calls himself "authentic," and the people who made these clearly have no clue what "authentic" means. For them, as for most pomo em-church poseurs, it means "cool." Do you see what they're doing here? They are saying the "authentic" Christian is the cool one. [W]hat they are really doing is mocking fellow believers. We are the cool ones, we are the ones who have it figured out.[...] This has got to stop. This cult of the cool in the church must stop. This fetishizing of hipness must stop. It is idolatry. This is reverse pharisaism. It really is. "I thank you God that I'm not like that lame, religious retard over there." This is just symptomatic of the consumerist, self-centered, behavioristic, culture-driven lunacy passing for ministry today. It is an anti-gospel, and it is the spirit of the anti-christ at work. Some of Wilson's rant makes it clear that he's the type of Reformed brother who sees any reference to this-world practical advice in a message from Scripture as "the same ol' works religion. [...] all about principles and steps and tips [...] just the same behavioristic gospel." One wonders what believers of this ilk do with the book of Proverbs. And as some of the commenters on the post have pointed out, what Jared has done is not completely dissimilar to what he is criticizing. And yet.... there's some real truth there. I think some of us have gotten so critical of our forebears, of what we consider "traditional Christianity," that we've lost the respect we owe to any fellow member of the Body of Christ. We've adopted the hip posture of the media that permeate our lives. It seems obvious to us that true spirituality should be young and skinny. And not too different from the culture at large. At least, not different in any way that would make us look, well, weird. I think Jared is rightly, very rightly, protesting against that attitude. I'm a little late getting to it (partially because I was on vacation last week), but Scot McKnight just completed an excellent series introducing the New Perspective on Paul. I haven't had the opportunity to read the comments, but the posts themselves are very good. I've blogged about this before, but as the issue gains currency and controversy, it's worthwhile revisiting. Essentially, the New Perspective on Paul (NPP) is a new perspective on Judaism--specifically, the discovery from the Dead Sea Scrolls and other archeological data that first-century Judaism was not the works-righteousness religion that the Reformers, and before them, Augustine, had thought that it was. Augustine read his struggle with the Pelagians into his reading of Paul (especially in Galatians and Romans) and Luther and Calvin similarly read their struggle with the medieval Catholic church into their reading of Paul. When Paul contrasts "works of the Law" with "faith in Christ," Augustine and the Reformers saw the tension as being between "works" and "faith"; that is, earning one's salvation as opposed to trusting that it is received by grace. Scholars operating out of the New Perspective see "works of the Law" as focused on those observances that distinguished Jews from Gentiles, such as the dietary laws, circumcision, and observance of the Sabbaths and holy days. (The first and last, not coincidentally, are the main issues that the Pharisees had with Jesus.) Therefore the "works of the Law" and "faith in Christ" is not so much a dichotomy between "works" and "faith," but between "Christ" and "the Law." The New Covenant inaugurated a time when the people of God would be known not for their adherence to the Jewish Torah, but for their trust in Christ as savior. It is that paradigm shift that such passages as Ephesians 1 and Romans 9 are talking about. Opposition to the New Perspective comes largely from the perception that it undercuts the theological underpinnings of the Reformation. I.e., the argument is theolgical, not exegetical. Biblical scholars (those who write commentaries, as opposed to theologians, who write systematic theologies) are more or less in agreement that the NPP is correct in its assessment of first-century Judaism, and so a reevaluation of Paul is necessary--if he wasn't arguing against "legalism" in the classical sense of trying to earn one's salvation, then exactly what was he arguing against and what was he offering in its place? Frankly, if the Bible is our standard, then exegesis must trump theological considerations. We must interpret the Bible as accurately as we are able, and then construct our theology from that, not interpret the Bible to fit our theological preconceptions. A refusal to do so, especially by those who trumpet sola scriptura the loudest, is telling. More about the NPP can be found on The Paul Page. The good news is that I passed an 8th grade science quiz. The bad news is that I was for 2 1/2 years a physics major in college, so passing is not actually any great feat. The real question is, am I smarter than a fifth grader? Updated to correct the spelling of Paul McCartney's name. I can't believe that no one called me on this. I'm so ashamed. -- Paul McCartney, "Eleanor Rigby"
Here's my take: men don't actually pursue friendships with women. That's not to say that men and women can't be friends, as in, friendly acquaintances who like to chat when they're together in a group situation. But if a man is pursuing a one-on-one friendship, he almost always has the possibility of a romantic relationship in reserve. He may back off and say that he just wanted to be friends, after the fact, maybe because he decided he didn't want to pursue a relationship after all, maybe because he got scared, maybe because he thinks you're not interested. But simply the close proximity and interaction of an attractive woman will start things buzzing in a man. "Here's my take: men don't actually pursue friendships with women." I have a hard time believing that.... is that generally true? Or is that just Keith-true? ... I have lots of guy "friends." I'm full up on that. Friends galore. No indication of anything but friends. Well, the truth of my statement depends on how you understand it. One could understand it to mean that guys are, after all, really only after One Thing, and are incapable of dealing with women on any other basis. Which would, a) truly be depressing, and b) make me, the author of such a statement, a pig. Luckily, I'm not a pig, and that's not what I meant. Part of the answer lies in understanding the differences between men and women on what they mean by "being friends." C.S. Lewis discusses friendship in the Phileo section of The Four Loves. Unlike eros, which is a face-to-face relationship whose object is one another, friendship is a side-by-side relationship whose object is a common interest. That's a very good description of male friendships. Men tend to be friends because they have a common interest: baseball, Spider-man comics, astronomy. Their friendship is about that common interest, and not about one another. If a man loses interest in the thing they have in common, he will generally drift away from the friendship, and usually there will not be hurt feelings, unless the other guy has no other friends and suddenly feels isolated. From what I've gathered, female friendships, especially close ones, are not like that. Women analyze their friendships like they analyze romantic relationships. They feel much more like they have a claim on their friends; they will get offended and angry if they feel neglected by their friend. They may include shared interests, but the real interest is one another. Guys, in general, do not have that kind of friendship with one another. They generally pursue that kind of friendship in the context of a romantic relationship with a woman. Most guys would feel a little creeped out if a male friend started making the claims on their friendship that women routinely make on theirs--specifically because they would interpret such an interest in them (and not in the shared interest of the friendship) in sexual terms. So let's say a man says to a woman, "Let's be friends." What are the possible meanings of that statement? I have no interest in a romantic relationship with you, but I don't want to hurt your feelings. You seem friendly/nice/enjoyable/nonthreatening, and I like hanging with you in group situations. Hey, you like hunting/theology/chess too? Cool! Wanna go to the convention next week? I find you intriguing and I'd like to get to know you better, and see where things might develop. You may have noticed that #1 and #4 are almost diametrically opposite. Evidently women don't have the market cornered on "complex." At any rate, #1 is the standard "Let's be friends" speech. Nuff said--for now. #2 is on the level of group friendship. This can seriously mean nothing, although sometimes shy guys will seek out no more than this with someone they're secretly interested in. It can also be a difficult platform from which to grow anything more: you feel conspicuous, like the whole group is watching your relationship develop. Is it any wonder that people in church youth and singles groups often find boyfriends/girlfriends from outside the group? #3 is the typical level of male friendship. This is the really ambiguous level, because a shared interest is a perfect pretext for a date. What you're wanting to do here is to figure out whether the guy is mostly interested in the museum/the Renaissance Festival/the Star Trek convention itself, and just likes having you along because you said you liked it too, or if he mostly likes being with you, and the venue doesn't seem to matter. #4 is the level of friendship that I meant when I said "Men don't pursue friendships with women." Because the truth is, men don't pursue friendships at all. They pursue football/computer games/film noir, and are glad to have someone to share their interest. But they don't pursue friendships. So level 4, to a man, is the beginning of a romantic relationship. The confusing part to a woman is that level 4 is actually the normal level of a close female friendship (well, without the "see where things might develop" part. I'm not trying to be wierd here). They're interested in each other, as well as whatever interests they may have in common. So it seems plausible to a woman that a man might be pursuing a close friendship, and just mean it as friendship. So what does it mean when a man's actions indicate a level 4 interest, but his words indicate a level 1 cutting off of romantic possibilities? To be blunt, he's lying. There might be a ton of reasons why. Maybe he's afraid of commitment; maybe he's afraid his interest isn't reciprocated; maybe he's had bad experiences with dating before and decided that upping the ante will ultimately mean losing what he has now. This is where "Eleanor Rigby" comes into play. There are two people in the song: Eleanor Rigby and Father MacKenzie, both of whom are alone. They could have found love with one another, but they were blind to one another. Personally, I think we have a whole generation like that, people who have grown up with divorce and broken relationships and a lack of cultural rules for dating and relationships, people scared to death of ending up with The Wrong One and so torpedoing every decent relationship that comes along, until they're even more scared of ending up alone, and so the next relationship magically becomes The Right One. That's what I was seeing when I was Single and Not Very Happy About That Fact, and it seems to me that it's only gotten worse. What people need to realize is that marriage is almost always really made or destroyed within the marriage. Unless someone has made a stupid mistake (believers marrying unbelievers is the most common and biggest), marriage takes just one thing: "us" and "we" instead of "you" and "me." If I focus on what I want, to the exclusion of what my wife wants, then I'm just asking for trouble in our marriage. But if I pursue marriage with a focus on what's best for us together and not me individually, and if my wife does the same thing, then we have the potential for a fantastic marriage. It's a matter of perspective and choices that we make within the marriage, not the particular person. And if single people could get hold of that truth, it would make dating a lot less stressful. So, what does a woman do with a man who's denying his own feelings like that? I wish I knew. The only thing I can suggest is not to make herself available for that kind of ambiguous relationship. "I can be your tennis buddy, or I can be your girlfriend, but I won't be your security blanket with nothing in return." Make him make a decision. Beyond that, both men and women could do with a little less trying to find the Right Person for themselves, and do a little more with trying to become the Right Person for someone else. 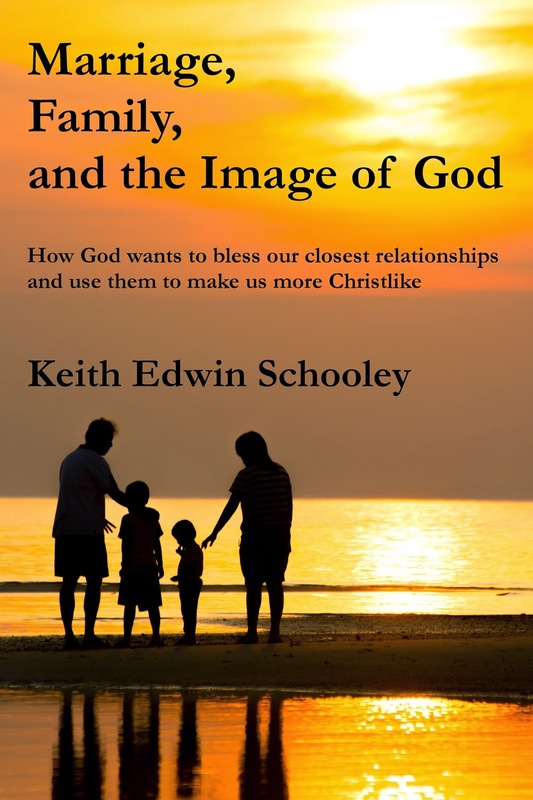 For more on marriage, check out my book, Marriage, Family, and the Image of God . Guys cannot read your mind. I know that this completely obliterates your secret fantasy of the perfect man who will unfailingly know exactly what you want all the time and give it to you without you even having to ask, but it can't be helped. It's not just an act. We really are that dense. You cannot read our minds. I know that you think that you know what we're thinking, but we're probably thinking something else. It's quite possible, even likely, that we're thinking of nothing at all. We also don't know that you don't know what we're thinking and want to know, or that you are probably guessing a thousand guesses, all incorrect. There's nothing to be done for it: you'll just have to break down and ask. Men and women handle stress differently. Most of you tend to need to talk it out with someone else. Most of us tend to want to escape into a hobby and try to forget about it. John Gray calls it "cave time." We need cave time. It's not about shutting you out; it's about trying to calm down and not get ourselves worked up all over again. We are the true romantics. This is contrary to popular belief, but that's because romance tends to be defined as things men do for women. Who's more romantic: the woman who likes to receive flowers, or the man who doesn't care a bit about flowers but goes and buys them for the woman he loves simply to make her happy? Men--until they've been burned and heartbroken sufficiently--simply fall in love and don't see anything else; it's women who want to analyze the relationship. This is not a good or a bad thing on either party's part--some relationships need to be analyzed. Both we and you recognize something about women, but we describe it in different ways. Women call it being complex; men generally see it as being either crazy or dishonest. Nice guys--the kind of guy that a woman will say she wants--will get dumped for guys who are jerks. I have been the "shoulder to cry on" for a woman bemoaning the fact that a certain guy she was interested in didn't notice her, and I was sworn to secrecy, lest the other guy find out how she feels--and then, when I finally told her (later on, when she wasn't hung up on someone else) of my interest in her, she told me I had been "dishonest" for not having told her before. These kind of inconsistencies (or "complexities," if you will) drive us crazy. We hate it--vicious, vile, ugly hatred--when you ask us to do something embarrassing that you could have done yourself, but didn't do so because you didn't want to be embarrassed. We know that you would like us to be the initiators. However, if we're not among the 10% that is being chased by 90% of you (same percentages apply in reverse as well), we've probably been shot down enough to be pretty gun-shy. You're going to have to give us at least some indication that you'd be receptive to an invitation. Much of what appears to you to be a fear of commitment is actually a healthy respect for responsibility. You have a tendency to want us to be ecstatic over life changes that dramatically increase our responsibilities. Many of you tend to see marriage as a source of security; most of us (or at least the best of us) see it as a significant responsibility. Even if we both work, guys will view providing for us, and later for a family, as primarily on us. The birth of a child, especially a first child, hits us in the same way. Nothing prepares us for marriage but marriage; nothing prepares us for fatherhood but fatherhood. Please try not to be too disappointed in our reactions. We are far too prone to think we know you before we really do, especially if we're attracted to you. We fill in the gaps of what we don't know with our hopes and expectations. The death stroke for one relationship I had, although it lasted for another few months, was a game of Scruples, in which I simply could not believe that my girlfriend really would drive someone into bankruptcy by holding them to an ill-considered contract. We don't understand why you break up with us. This is partially due to the fact that you actually do not tell us why you break up with us (more often than not, we believe, merely to spare our feelings). As we get older, the more observant of us figure out that there are a myriad of reasons, often involving your belief that we will at some point break up with you, and you'd rather be the dumper than the dumped. For our part, we don't end relationships unless we actually want to end them; we don't end them because we've analyzed them and decided that they're doomed (see #4). Since we don't understand this at a young enough age to do us any good, we don't understand that you grieve relationships that you yourselves ended. Hence the bitterness you've frequently encountered. For all that, we really are still crazy about you. Most of this relates to a period in my life I call, "Single and not very happy about that fact." But God has given me a wonderful wife and a wonderful marriage. I'm truly grateful for the heartbreaks I've had in the past, because they left me open for my marriage with Cecile. He knew better than I did what the fully-adult me would need. Okay, I admit it. I've been drawn back in. Peter Kirk writes an excellent post discussing the ramifications of Augustine's use of an inadequate translation in developing doctrine. (He is following Doug Chaplin's discussion of the subject.) Essentially, Augustine understood Romans 5:12 as "in whom all sinned," with the implication that we are all guilty, not merely of our own sins, but of Adam's; that we are born guilty of Adam's sin. This is the foundation of the doctrine of original sin, which is foundational to the doctrine of total depravity. However, all modern translations recognize that the Greek of Romans 5:12 is better rendered, "because all sinned"--Augustine was following an inadequate Latin translation at this point. Paul's point is not that we all sinned with Adam in the Garden of Eden, but that we have all sinned just as Adam sinned, and therefore we all need the gift of God's grace through the sacrifice of Jesus. It is thought by some that denial of the extent to which Augustine pushed the doctrine of original sin (and thus total depravity) implies Pelagianism: that it would be possible for a person to justify himself without appeal to the sacrifice of Jesus, that we can and must work to merit God's favor, that we become co-participants in our own salvation. But this is not a necessary conclusion. Other scriptures make it clear that in fact we all have sinned, and that we cannot come to Jesus merely of our own accord. Nonetheless, the corollary to total depravity--that not only can we not come to God on our own, but we cannot even respond to the Gospel without God enabling us, and then we will unfailingly do so--is not taught in Scripture. Not only does this bespeak of the dangers of using an inadequate translation; it bespeaks of the dangers of building doctrine on so narrow a foundation as a single interpretation of a single phrase.